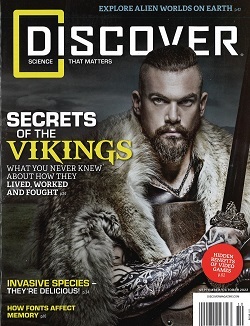 DISCOVER is a science magazine that publishes articles about science for a general audience. The magazine explores all areas of science from archeology to ecology, technology to medicine, and astronomy to physics. Note: JAN/FEB & JUN/JUL are double issues S$13.90 Remaining single issues are S$11.90/iss Final amount will be amended via email. Published 10 issues per year.